In a case of “what the hell was he thinking?”, the greatest Olympic gold medal athlete ever, Michael Phelps, has done the ultimate sponsor faux pas and appeared on the cover of the latest Sports Illustrated wearing his sponsor’s arch-rivals’ gear. Phelps – who just claimed his 23rd gold in Rio – is paid “multi millions of dollars a year” by sportswear manufacturer Under Armour and is considered the “crown jewel” in its marketing. 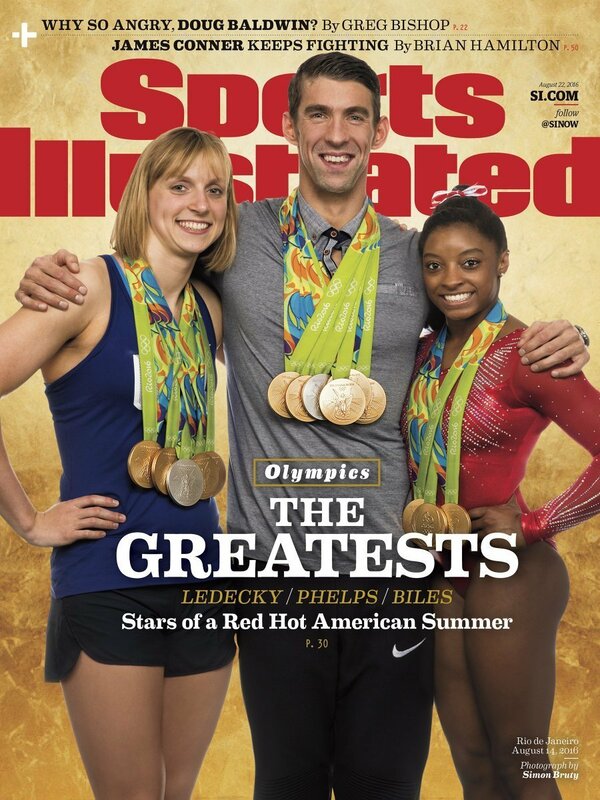 However, in his cover shoot alongside (US swimmer) Katie Ledecky and (gymnast) Simone Biles, Phelps can clearly be seen wearing Nike track pants as the trio are adorned in their haul of medals from Rio. However, it’s unclear how the stuff-up actually happened and won’t impress Phelps’ bosses at Under Armour – Sports Illustrated sells over 18 million copies a month. One theory is that the US Olympic team is sponsored by Nike, hence the massive logo emblazoned across Phelps’ pants. The other theory is, everybody plain forgot. To his credit, Phelps is (reportedly) wearing Under Armour trainers, although they can’t be seen in the actual shoot. He’s also wearing a T-shirt that appears to be Ted Baker. In another interesting twist, Biles is actually sponsored by Nike but Under Amour actually had its logo on the US Olympic team’s uniforms for Rio. However, the logo can’t be seen on the cover image. Athlete’s endorsements and sponsorships can be a very tricky affair when it comes to the Olympics. For most, they have to toe the line of the national sponsor, however some negotiate (Usain Bolt’s Puma deal for one) separate third-party deals. Things get even murkier when the brand isn’t an official sponsor of the Olympics.